For all fifteen seasons of the award winning NBC drama series ER, Lily has played the role of Nurse Lily Jarvik, which won the Screen Actors Guild Award for Best Ensemble in a Drama Series four times. As an award-winning screenwriter, she received Best Screenplay Awards from Cynosure, Page International, Gaffers and Ohio International Independent Film Festivals as well as being a finalist for the Nicholl Fellowship and the Rockefeller Foundation Fellowship. She is a four time finalist for the Sundance Feature Film Labs. Her filmmaking awards include a grant from the American Film Institute's prestigious Directing Workshop for Women to direct her first short film, the award-winning “The Shangri-la Cafe,” Filmmaker of the Year (N.O.W., the National Organization for Women), Up and Coming Filmmaker of Color (Colorvision - PBS) and Top 10 Up and Coming Women Horror Directors (prettyscary.net). 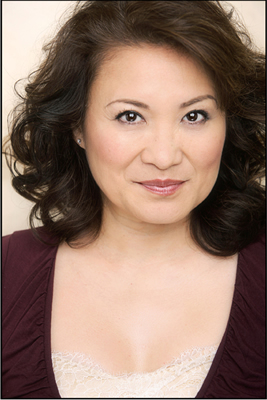 Lily’s next project is directing and producing her first feature film from her latest screenplay, Model Minority. In advancing her passion for directing she has “shadowed” her mentors, Jonathan Kaplan and Lesli Linka Glatter (DGA Best Director 2010, “Mad Men”) on 11 episodes of ER, 2 episodes of Gilmore Girls and 4 episodes of West Wing, where she observed concept meetings, location scouts, casting, production meetings, storyboarding, filming and editing. Lily has directed four short films for INSTANT FILMS (www.instantfilms.com), an independent film project held every two months in which eight short films are written, filmed, edited and screened in 48 hours. Born in Las Vegas, Nevada, she graduated from UCLA with a B.A. in Theatre Arts. She has appeared in numerous films such as EXTRAORDINARY MEASURES with Harrison Ford, HANCOCK, THE BEST LITTLE WHOREHOUSE IN TEXAS, MIGHTY JOE YOUNG, THE SHADOW, THE NEW AGE, and THE DOCTOR. Lily has guest-starred in over 25 television shows including SHAMELESS, JUDGING AMY, ALLY MCBEAL, and CHICAGO HOPE. : Lily is also an award-winning theatre actress, performing in New York, Los Angeles and other regional theatres around the country.